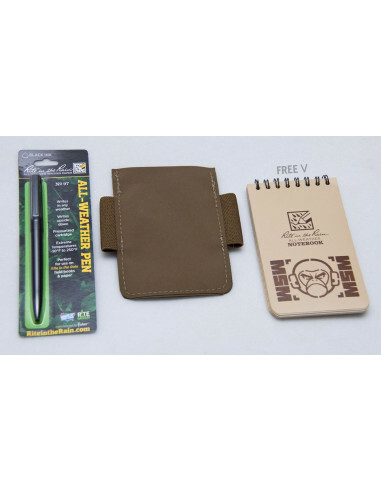 Combining everything you need for a minimalist tactical notes taking package; starting with our slim notebook cover, you also get the appropriately sized and great functioning all weather pen. 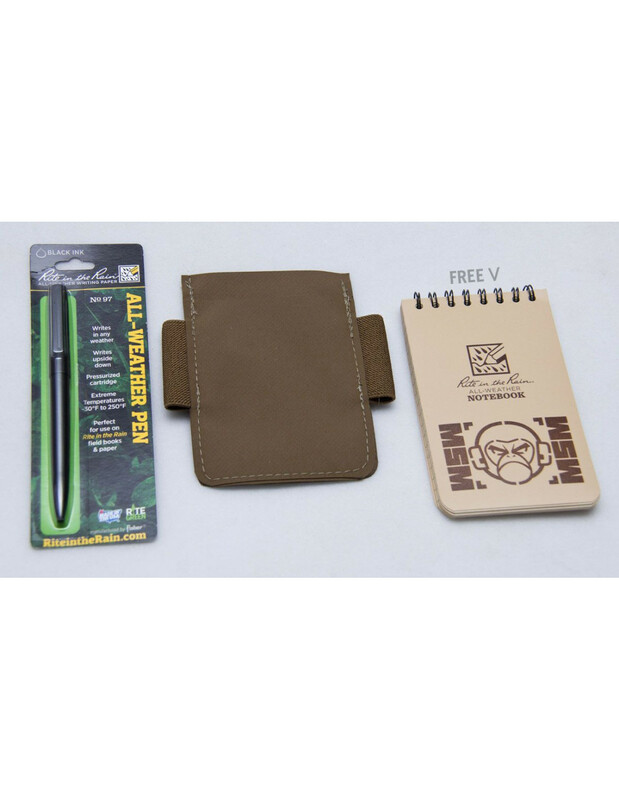 So you can get immediately started, a MSM logo RITR notebook is included free with every set! Currently all the pens are black, but we have Tan and Black notebook options.